Yokota is a large airfield about one and a half hours from the center of Tokyo belonging to the US Pacific Airforce. 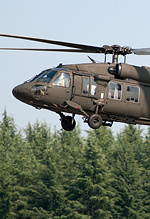 It has a long history but is currently home to the C-130, C-12 and UH-1's of the 374th Airlift Wing. Its main function is that of a transport hub so visiting Civil airliners on military charter are common, additionally many other military types often visit ranging from military transports to fighters transiting the region. Mike Leonard brings this report from Japan. All photos by the author. 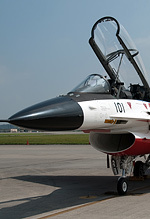 Every year in August Yokota opens it doors for two days for the annual Yokota Friendship Festival which features, as well as aircraft flying and static displays, fireworks, a strong man competition, bands and motorcycle stunt displays. Another major attraction, as at most US shows are the burgers, BBQ's and other food on sale. The festival is a public relations event and approx 130,000 people attend each year however if you are not a Japanese or US citizen you are advised to contact public relations before attending. Being held in August which is the middle of the Japan summer temperatures can reach high 30s on the concrete so hats and sunscreen are advised. The static usually features a good mix of types with most US Pacific types represented, F-15s from Okinawa, F-16s from Misawa, Marine F-18s from their Iwakuni rotation. Also usually present are some Korean based USAF aircraft, this year in the form of a pair of A-10s from Osan. 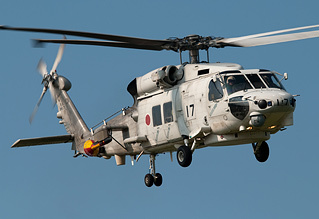 Various JSDF types include Japan Air Self Defense Force Phantoms, F-15, F-2, Ground Defence Force AH-1, UH-1, CH-47 and not forgetting the Marine Self Defense Force's P-3s and UH-60s usually in attendance amongst others. 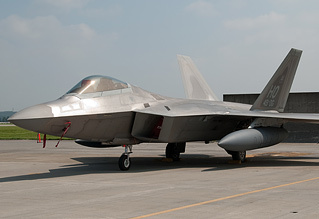 Last year the stars of the show were a pair of FF coded F-22s from Langley and this year a pair of HO coded F-22s from Holloman provided the major attraction in the static. For a number of years now the flying display has been limited to parachute displays and flybys by the based C130s, C12 and UH-1 (the full flying display is alleged to have been cut after the USAF Thunderbirds performed an unscheduled display which resulted in official complaints from the surrounding towns!) All is not lost however, as per most shows in Japan many of the static display will depart in the afternoon of the final day, sometimes giving impressive go-arounds, topsides etc. Other gems can include unscheduled flybys of exotic types such as U-2s and the chance of some exotic visitors during the eventl which this year included the departure of a French C-130 on a UN mission, the arrival of a VIP-carrying C-40 and a pair of US Army Japan based UH-60s. So to wrap up, the Yokota Friendship Festival isn't exactly non stop airshow action but with a variety of US and Japanese in the static, and a chance of some interesting visitors it has something to offer for most aviation enthusiasts.